Top model Anna Ewers gets windswept on the February 2017 cover of Vogue Paris. Photographed by David Sims, the blonde beauty wears a neutral look from Loewe including an oversized coat, crop top and pants. 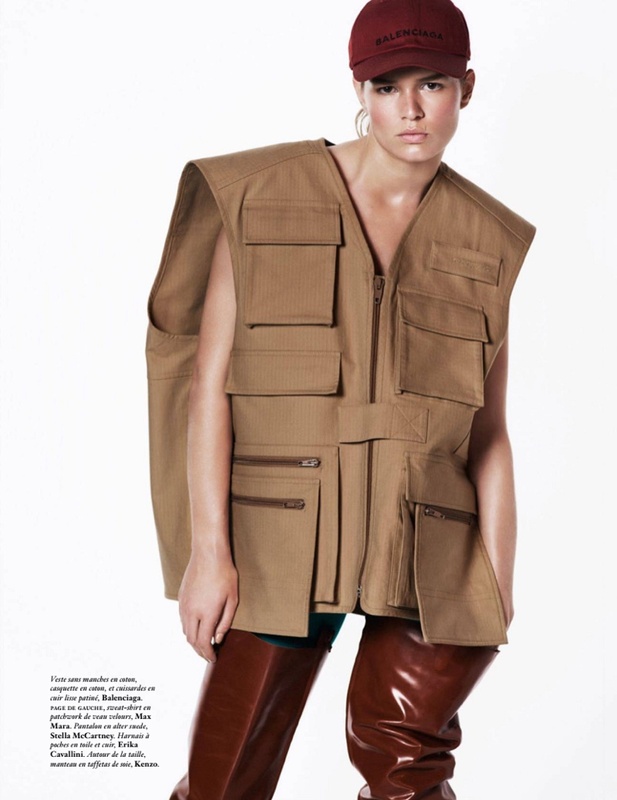 Inside the issue, the German model serves up military inspired fashions. 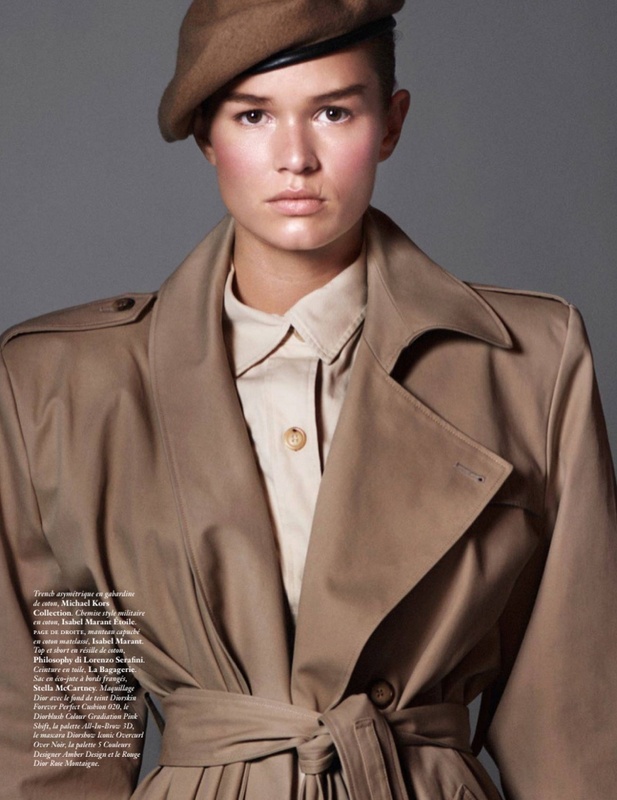 Editor-in-chief Emmanuelle Alt styles Anna in a mix of camouflage prints, khaki separates and oversized trench coats. The face of Versace sports minimal makeup and hair for the studio shoot. Anna stands out in the designs of Marc Jacobs, Michael Kors Collection, Stella McCartney and more. 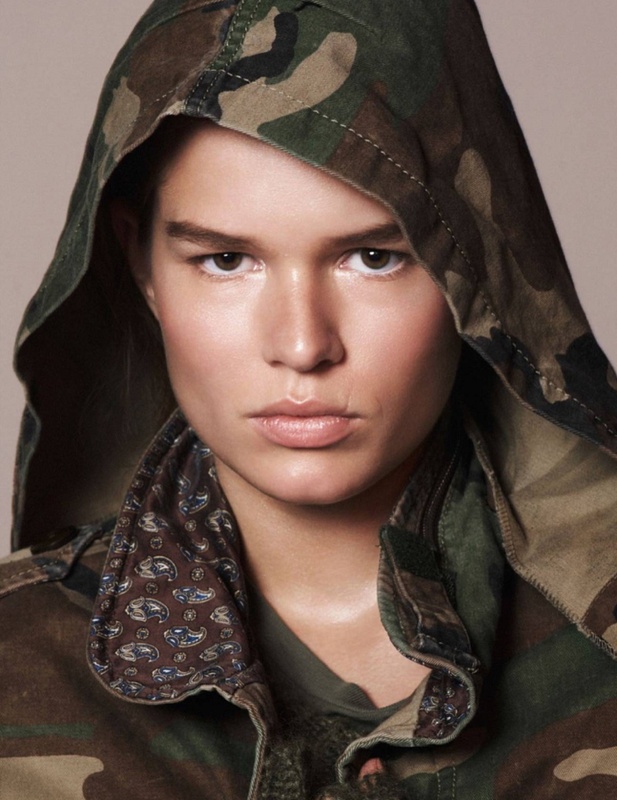 “Anna Ewers Takes on Military Inspired Looks for Vogue Paris.” Fashion Gone Rogue. http://www.fashiongonerogue.com/anna-ewers-vogue-paris-2017-photos/.